Softball is an All-American sport that is hugely popular among both adult leagues as well as school athletics. This sport requires comfortable clothing for enhanced performance and the color and design is uniform for different teams. Even though softball is one of the safer sports, it is still a physical activity and injuries might occur. Sliding is one of the most risky behaviors when on the field and it can wreak havoc to the clothes as well as to the body. Hence, the right type of softball gear is important for a safe and satisfying game as well as protection against injury. What Type of Apparel Does Softball Players Wear? Tank Tops and T-shirts: A uniform shirt designed in team color is worn on game day but for general training and conditioning, players wear tank tops or t-shirts. Tanks or tees can also be worn beneath softball uniform jersey. For casual play or friendly tournaments, printed tees work just fine. 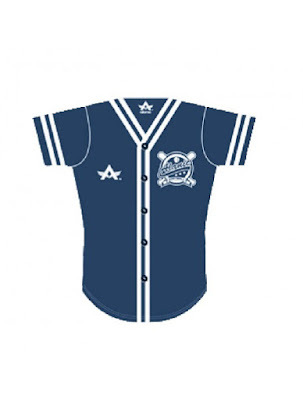 Jerseys: Softball team wear manufacturing houses offer custom options when designing jerseys because different teams would have different color and design requirements. The jerseys should be made from hi-tech fabric that can easily soak sweat and evaporate it. Shorts and Pants: Shorts are commonly worn but for extra protection, one can even opt for long pants since they cover the knees, calves and ankles. The pants should be slightly loose to allow the addition of equipment such as knee slider. Sweatshirts and Jackets: Hooded or not, jackets and sweatshirts serve both function and fashion purposes and are worn before players hit the field. It is ideal for winters or when the weather is windy. Sports Bras for Girls: Softball uniforms are pretty much the same for both sexes but women need to wear proper bras that provide them with the needed support while running or jumping. Seamless designs are in fashion right now.